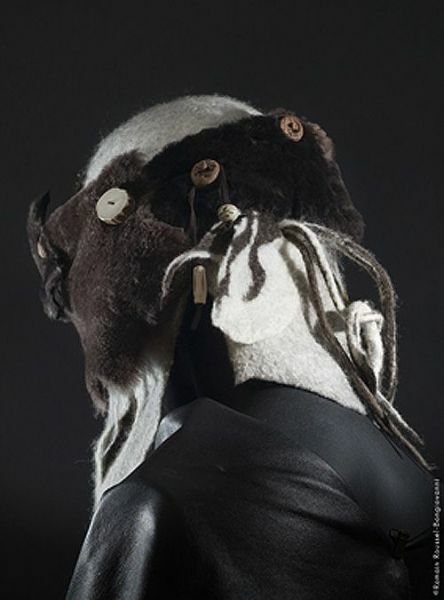 Grant program for professional artists. 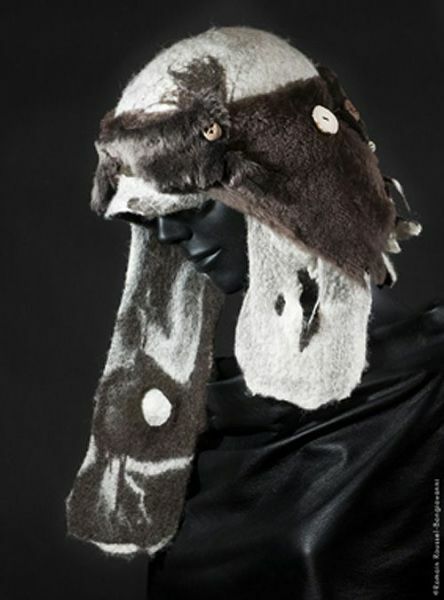 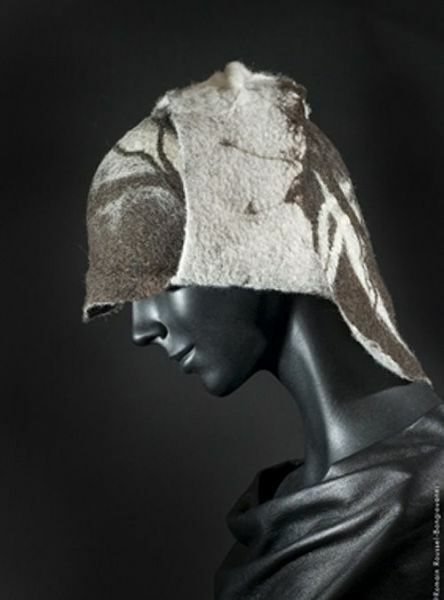 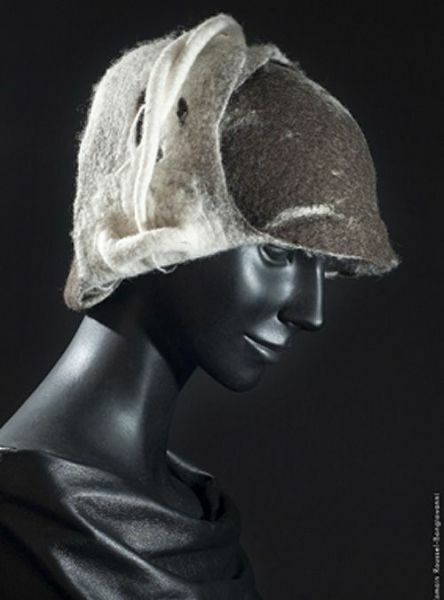 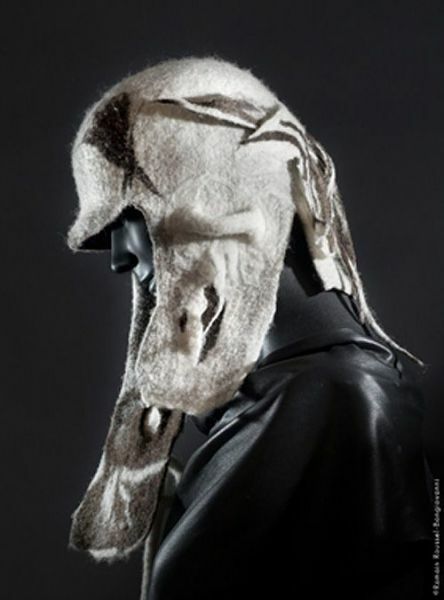 The finished prototype appears as a Chapka fur hat, hand felted from pre-carded and pre-tinted Merinos wool using water and olive oil soap from Marseille. 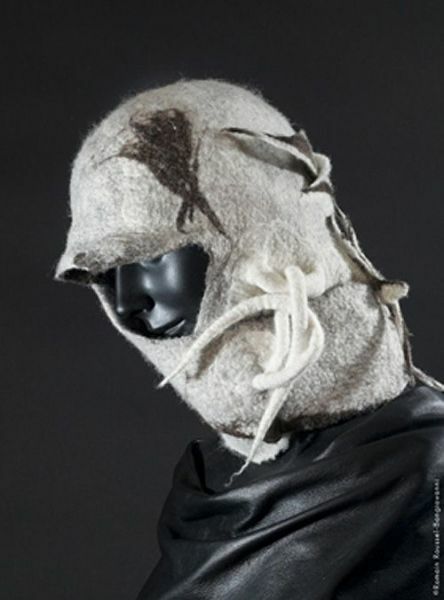 The earmuffs, merging with the chin strap, offer variable positions thus, prolong the wearing of the hat until Spring rises in temperature. 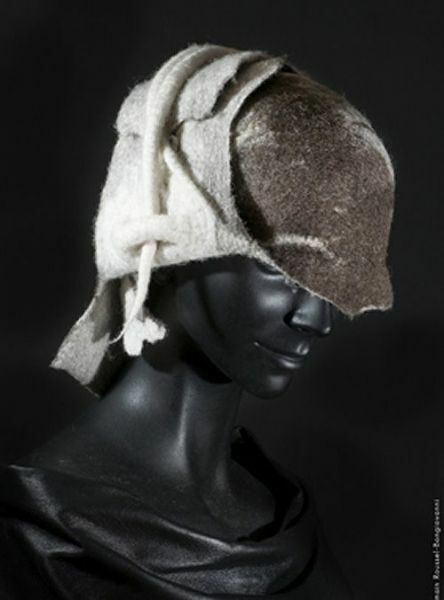 The chapka itself offers two possibilities of visors in a transfer back to front, front to back. 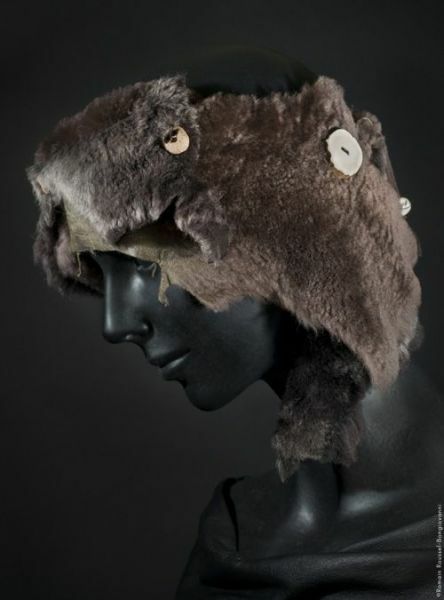 An optional fur headband, furnished with leather fasteners and assorted clay buttons, can be be adjusted over the earmuffs and the forehead for better protection from the wind which blows right through the wool. 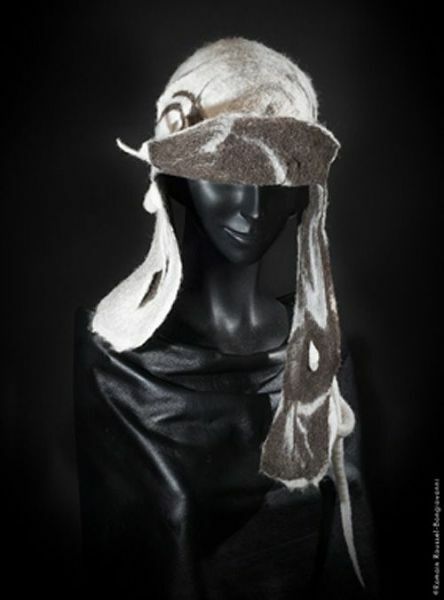 This headband can be worn with or without the chapka hat, and also can be worn around the neck, as a detachable collar. 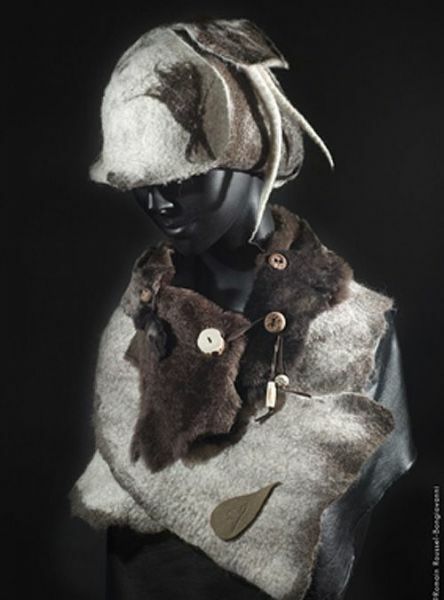 A removable trimming, made in felting 3D, can be adjusted by choice, in the back or on the side of the hat and it can also become a pin on a coat. 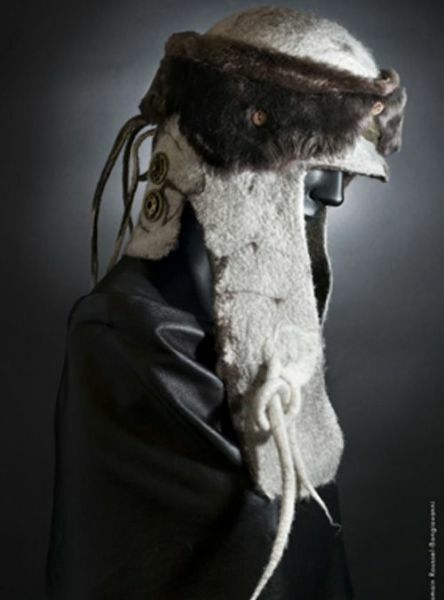 Furthermore, it is possible to wear the Chacunchapeauchapka inside out, displaying two choices of colors. 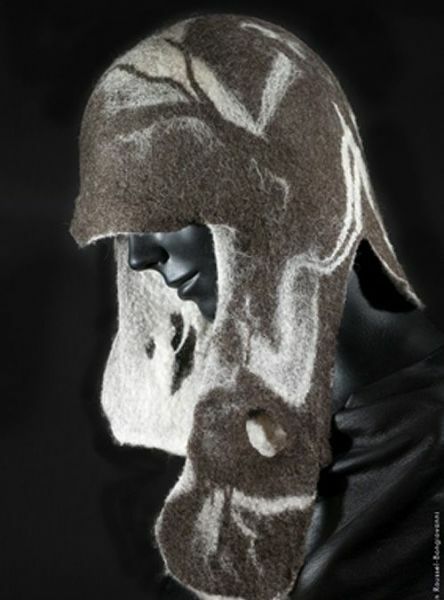 As a result you get two hats for the price of one... and much much more.